Dulce de leche---"candy of milk"---is a South American confection prepared by heating and caramelizing sweetened milk into a golden brown color. Its French counterpart is confiture de lait, while the Mexican version is called cajeta. 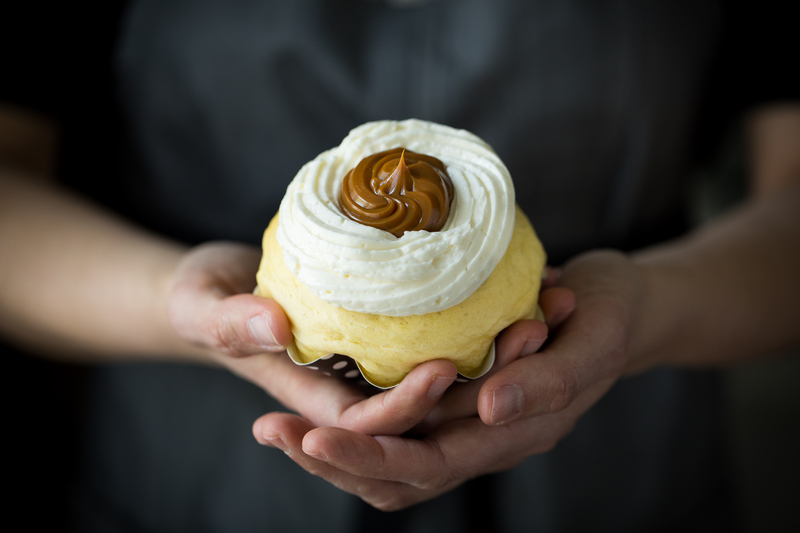 Our generous dollop of dulce de leche is crowned with smooth vanilla buttercream and finished off with sprinkle of sea salt.